The 996 GT3 RS is a high-performance sports car Porsche that was produced by the company between 2003 and 2005. 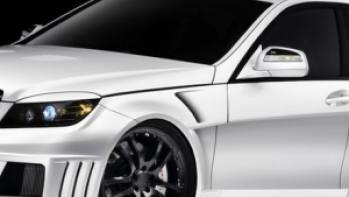 The RS moniker is an abbreviation for RennSport or “racing sport". Stylistically, the Porsche 996 GT3 RS is derived from Porsches of the early 1970s like the Carrera 2.7 RS and the model pays a tribute to its heritage via "GT3 RS" side stickers and lightweight red or blue wheels characteristic of the model. 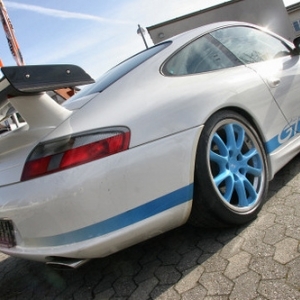 The model was essentially a racing-spec version of the Porsche 911 GT3. Porsche built just 140 right hand drive copies of the GT3 RS and the model was never sold across the Atlantic. The Porsche 996 GT3 RS comes with a range of trim packages though the standard goodies include partial leather upholstery offered in an all black leather trim or a black/red leather trim, dual-zone automatic climate control and heated side mirrors. 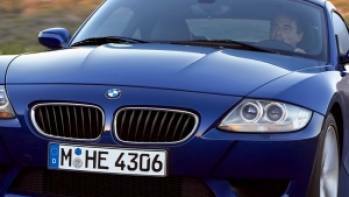 The model also features automatic wipers, LED running lights and bi-xenon headlights. 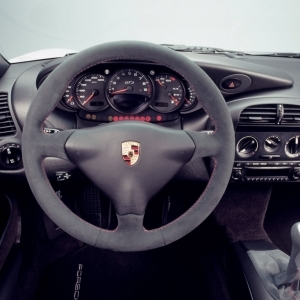 The cabin of the Porsche 996 GT3 RS also boasts of creature comforts and gadgetry like an auxiliary audio jack, USB/iPod integration, satellite radio, a CD player with a nine-speaker sound system and Bluetooth. The navigation and entertainment systems in the vehicle are fronted by a touchscreen interface. To make driving a true pleasure, the model also comes with faux suede headliner, a tilt-and-telescoping steering wheel and 4-way power-adjustable sport seats. Bundled options for the Porsche 996 GT3 RS allow the buyer to choose between the Sport Chrono package, the Premium package, the Premium Package Plus package, the Bose Audio package and the premium Burmeister audio package. 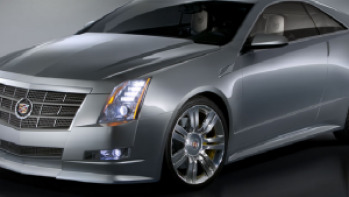 Standalone options include upgrades like voice control, sport steering wheels and choices between the leather upholstery and interior trim materials. 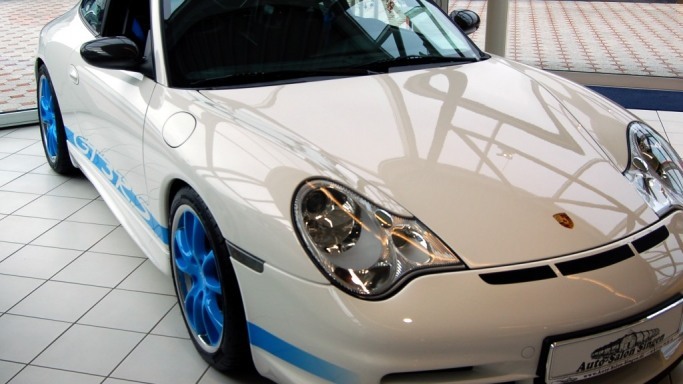 In the tradition of its famous predecessors, the Porsche 996 GT3 RS too was offered in an all-white exterior finish with polished aluminum exterior trim and blue or red wheels and inscriptions. A full roll-over cage was also standard on the vehicle. 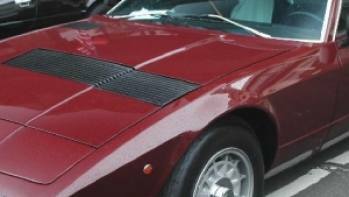 Since it was developed as a road-going race-spec model, the vehicle also came with technical features like a carbon-fiber reinforced rear wing and front hood and optimized rear-axle configuration. 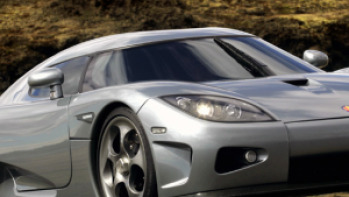 To ensure that the vehicle stays as lightweight as possible, it comes fitted with a polycarbonate rear window. 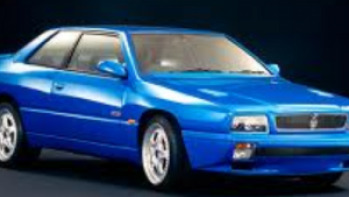 Other racing details on the exterior of the model include slimmer LED taillights, wheel arches with pronounced flares and larger oval headlights.